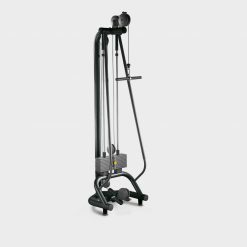 The Inspire Fitness FT2 Functional Trainer will make the perfect addition to your gym. Excellent for strength training and with so many different uses it will soon become your most used piece of equipment. 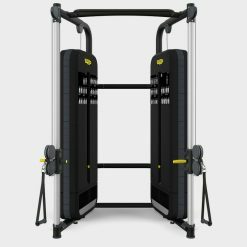 The Inspire Fitness FT2 Functional Trainer is the most unique functional trainer, dual adjustable pulley and smith system in one complete machine. 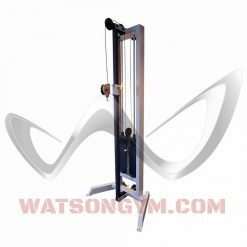 It is an 8 pull point functional trainer with smith system/Olympic bar attachment that requires no free weights. The 8 pull points consist of 2 wide adjustable pulleys, 2 high narrow pulley points and 4 low points. The 4 low pulley points are perfect for seated rows, leg extension/curls (via the optional SCS bench and leg developer attachment) or exercise ball workouts. The Smith bar hooks up to the 2 wide adjustable pulleys and rotates like a traditional smith system with height adjustable safety spotters. 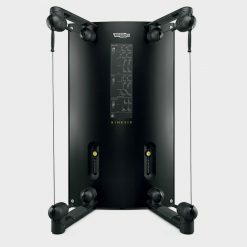 The “unique” weight system multiplier (1:1 ratio) has a 430lb capacity which is perfect for squats, deadlifts and bench presses by utilising the optional SCS bench. 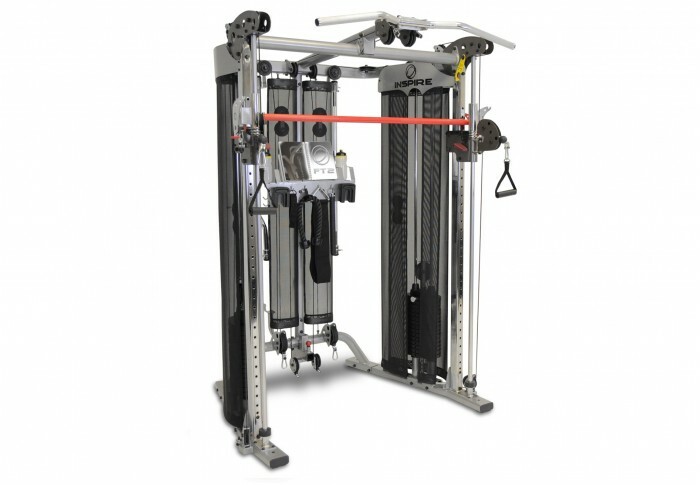 The FT2 also includes a full range of accessories – Straight bar, EZ curl bar, Belt, Swing handle, Tricep rope & ankle cuff. The dual pulley system adjusts to 31 positions for unlimited functional training capability. The pull-up bar is adjustable in height to accommodate different height users and lower ceilings. 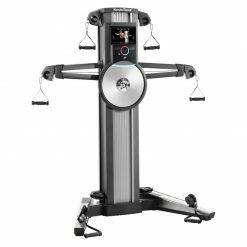 To maximise the Inspire FT2 Functional Trainer’s full range, it also offers leg extension & leg curl exercises via the optional Inspire SCS Bench, which conveniently hook up to the dual weight stacks for a smooth, commercial feel. Inspire Fitness have your strength requirements covered. 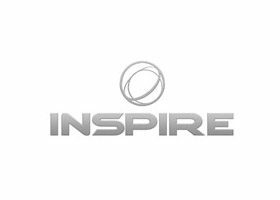 Inspire Fitness was founded in California in 2004 and in 2008 the business was introduced to the UK and Europe where it has had a strong presence here ever since.Specialising in strength equipment, Inspire products span from multigyms such as the FT2 Functional trainer to folding benches.